Situated on the majestic Hawkesbury River, Brooklyn Marina is just 1 hour north of Sydney in Australia. This magnificent waterway is nestled among spectacular National Parks and is considered Sydney's hidden paradise. The marina provides berths and moorings with full facilities for all our customers. 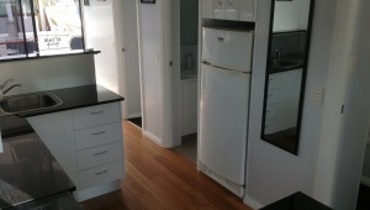 Our range of Houseboats sleep from 2 to 12 in comfort and are a great way to explore the Hawkesbury. 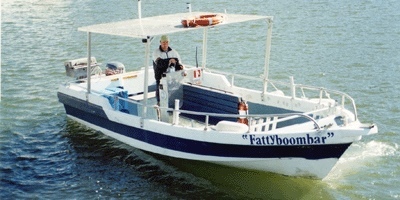 Our range of BBQ boats have sun covers, gas BBQ's, esky and more. They can cater for up to 12 and don't require a boat licence. Our 4 or 6 person Tinnies are great for that fishing expedition. They have sun covers and don't require a boat licence. Our family boats cater for 6 to 10. 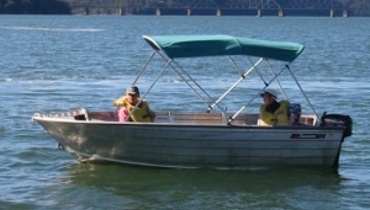 They have sun covers, esky, comfortable seating and make for a great day on the water. No boat licence required. 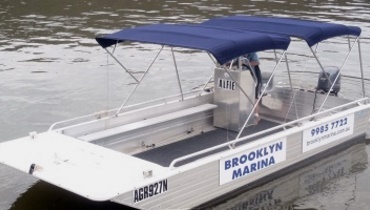 Alfie the Picnic Punt caters for up to 12 with 2 large sun covers, console steering, high thrust engine and stereo. The Commercial Punt is 5,9m with 2 large sun covers, 60hp high thrust outboard, centre console steering and all safety equipment. Can carry 11 passengers and 1 driver. Brooklyn Marina provides a range of marina berths and moorings with full onshore bathroom facilities. 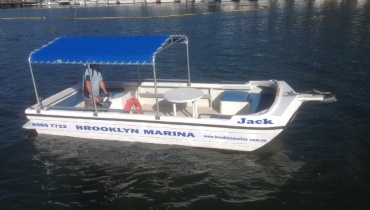 Brooklyn Marine Services carries out all boat repairs, restorations, fit-outs, boat-building, electrical and more. 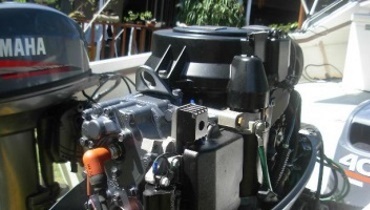 Brooklyn Marine Services specialises in Marine mechanical work on all makes and models of inboard and outboard engines and Marine electrical work. 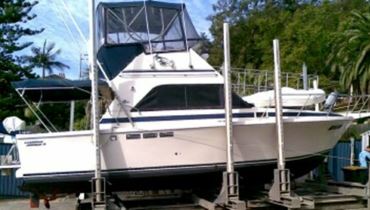 Brooklyn Marine Services provides full slipping and anti-fouling services to our clients. Brooklyn Yamaha located at Brooklyn Marina is your authorised Yamaha Dealer for the lower Hawkesbury and provides full sales, support and servicing of all yamaha motors. 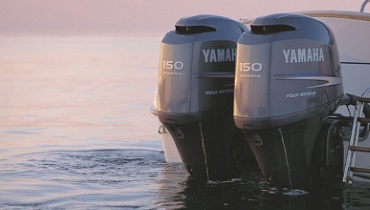 We stock a large variety of outboards (including portable 2 stroke and the larger 4 stroke models). Call or visit us for a great deal on any of our in-stock outboards. 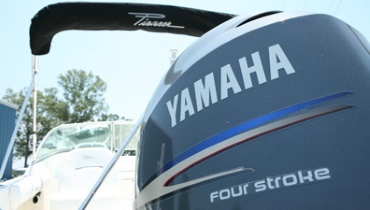 We service all Yamaha outboards, we have an excellent selection of genuine Yamaha parts in stock. We also service other brands and all inboard motors. How long since you've been on the water? Get your motor serviced for Summer now! Brooklyn Marina provides a range of berths and moorings with full facilities for our customers. 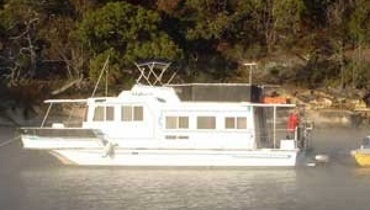 Our Houseboats and Hire Boats are a great way to relax, catch a fish or just explore the majestic Hawkesbury River. As the authorised Yamaha Dealer for the lower Hawkesbury, we provide full sales, support and servicing for Yamaha motors. Our Marine Services team provides a complete range of electrical, mechanical, slipping and anti-fouling services to our clients.